Welcome: Trail sites are now being added. 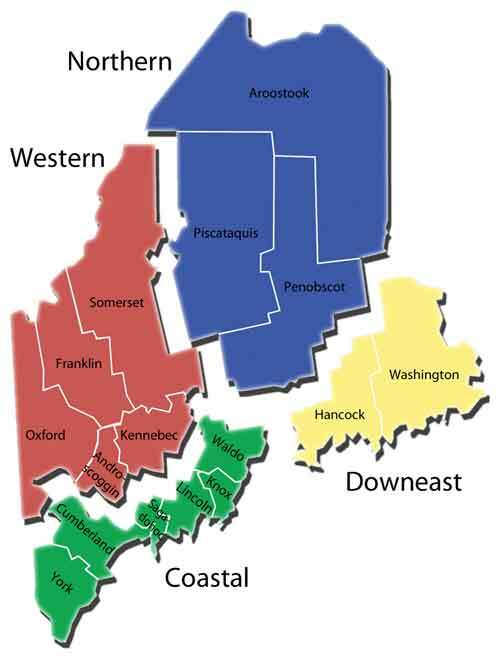 The Coastal area of southern Maine is being installed. The remaining regions are expected shortly. Click on any region to discover the trail sites within. 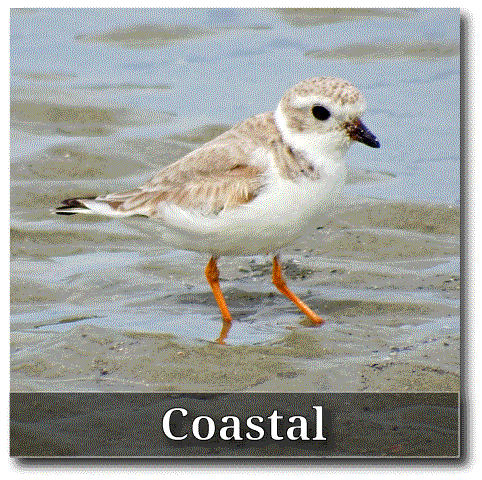 Coastal: This is an area of sandy beaches and heavy tourism. Midway up this section of the coast, the beaches give way to the vaunted "rockbound coast of Maine." The area includes the best saltmarshes, two puffin islands, Maine's biggest city, and LL Bean. 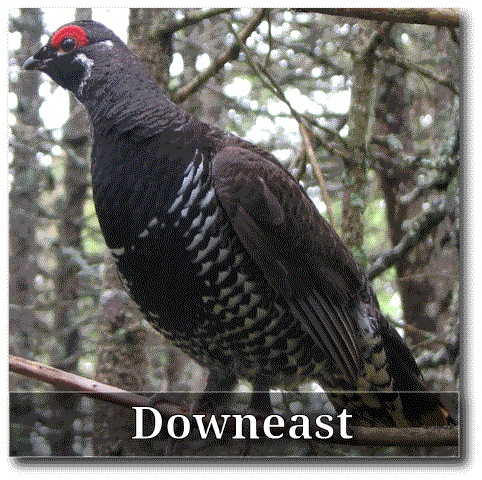 Downeast: Acadia National Park dominates much of the birding in Hancock County. The coast gets wilder and the fishing villages smaller as Route 1 heads northeast through Washington County. 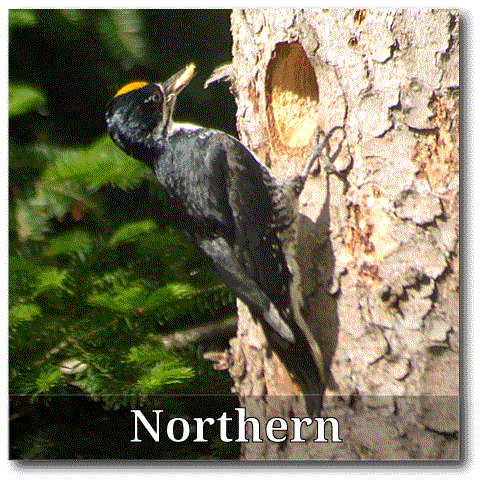 At the border between the two counties, boreal birds begin to appear. A spruce/fir maritime forest dominates the ocean's edge. Just inland, the world's largest lowbush blueberry fields create unique habitat. 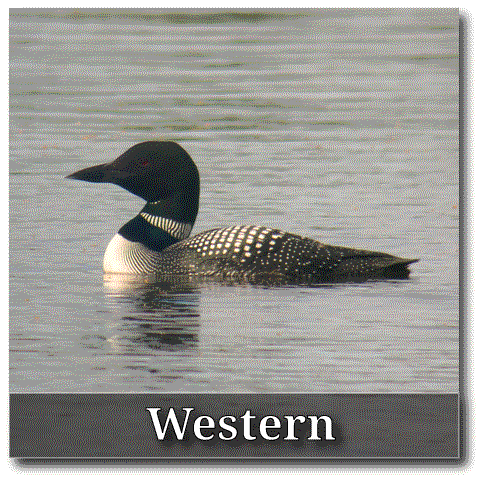 Western: The southern part of this region is a land of serene lakes and hardwood forests. Heading north, it's not long before taller mountains, wilder lakes, and darker forests take over. Northern: Above Bangor, the working forest dominates. Logging operations span millions of acres, opening a network of roads that reward birders with observations rarely seen in the east. Large tracts of land are in conservation, open to the public. Baxter State Park's 200,000 acres are kept in a "forever-wild" state. One of America's newest national monuments - Katahdin Woods and Waters - is ripe for exploration. 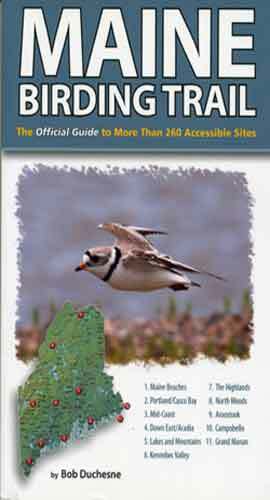 Maine Birding Trail - The Official Guide to More than 260 Accessible Sites. Works anywhere, even without WIFI or cell service. Never needs batteries or recharging. Can sit on the dashboard in any weather. Includes many additional off-trail sites. Available in most Maine bookstores, and all online retailers, including Amazon, WalMart, Barnes and Noble, and Books-A-Million.